The General Superintendent, Deeper Christian Life Ministry, Pastor William Kumuyi says he is praying for President Muhammadu Buhari to succeeded in the war against corruption and other reforms he is undertaking in the country. 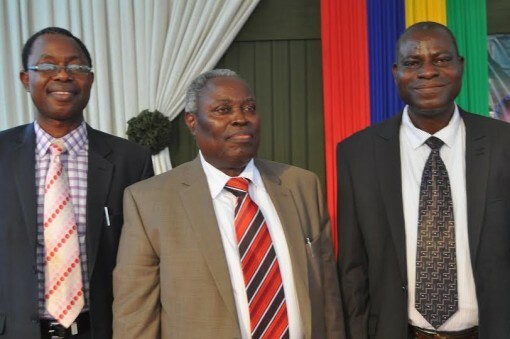 Kumuyi, who spoke shortly after the Lagos City-Wide Crusade organised by the church in conjunction with the Christian Association of Nigeria (CAN) and Pentecostal Fellowship of Nigerian (PFN), at the Police College, Ikeja, Lagos, southwest Nigeria said Nigerians should support the president rather than complaining. He said the president needed the wisdom of God to pull through in the fight against corruption. “My prayer for the country is that the mighty change, supernatural change that God has done for individuals, He should do for our country and you see, God works in various ways and as we see all the things happening, fighting against corruption and all that, we need the wisdom of God, power of God and the support of God." “My prayer is that God will assist the government to actually pull through until we get to the end of the tunnel in Jesus name. A change is coming and the change has started already,” he said. The man of God encouraged Nigerians to put their trust in God as there is hope for the nation. “The encouragement I want to give everyone is that we should have hope and we should look unto God that God is able and that God will definitely turn things around, it may not take place this very minute, but God is going to do wonders in our country and things will turn around for the better,” he assured. Kumuyi also assured that in spite of the socio-economic uncertainties in the country, there is still a strong hope for Nigerians. 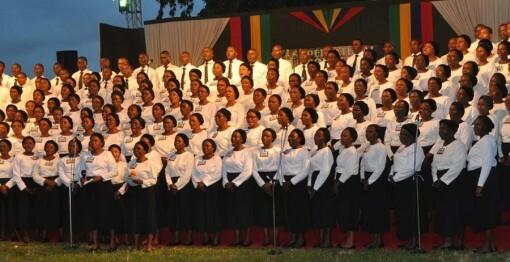 In a message entitled, “The Wonders of Supernatural Change,” he emphasised that God had power to change all negative circumstances, assuring the congregation that no matter the challenges of life, which they had been facing and which they might have sought for solutions in different quarters, God would provide lasting solution to them. Kumuyi, who pointed out that the greatest problem of man was sin, urged those who were bound by chain of sins to urgently seek forgiveness from God. “The Lord does not condemn sinners but to save them. Sinners must boldly take a step by confessing their sins. It is futile to think that it is impossible to live a righteous life. God is capable of saving sinners no matter the level of sin which they have committed. “Every work of Satan in your life must be reversed. Bad luck has come to an end. Sorrow and reproach have come to an end. This is a time for supernatural change. You must leave all your sins behind. God has declared that this day, salvation has come into your life. God will not reject you,” he said. One of the participants at the crusade, Ms Marvellous Archibong, testified how she regained her sight, disclosing that she was born blind, but that 18 years after her birth, Kumuyi came to her state to preach and that after his prayer, she regained her sight. 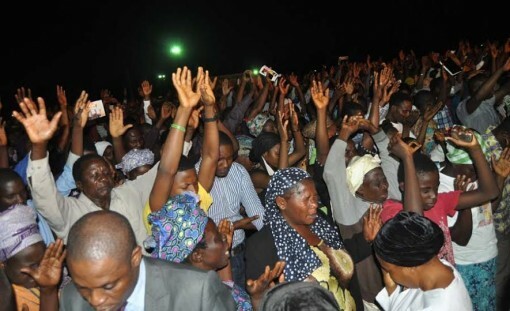 See some pictures from the crusade below.